“What shall we do for the day when we meet up with your uncle Gavin on August 3rd?” said my mum. My uncle is younger than me (long story) and lives in the US. He was over here for three weeks with his wife and two children and the only day we were free to meet up with them, my parents, and the four of us was their last day here. So it needed to be a great day because I couldn’t bear the idea of them going home to Chicago on a low. “I know just the thing. Leave it with me, I will organise it, but the six of you need to get to Watford” said I.
I knew the only thing I wanted to do that day, the Warner Bros studio tour “The Making of Harry Potter”. And more importantly I knew that my two cousins aged six and ten would LOVE it. There had been a lounge at Britmums, run by Warner Bros, and not only could we see DVDs and try out jelly beans but play with wands, learn about the studio tour AND we also got to meet Hedwig. THE Hedwig. It was with this in mind that I made a phone call to ask if ten of us could go along and do the tour. First up on our day out was a pub lunch: burger and a pint for eight quid. You can’t go wrong (The Swan in Abbot’s Langley should you be interested, great food, bit slow bringing pud so we had to scrap that idea but lots of deals and really good value. Would recommend it) and then we drove five minutes down the road to Warner Bros. This is what their press release said, but to be honest I had no real clue as to how the day would pan out. This year, Warner Bros. 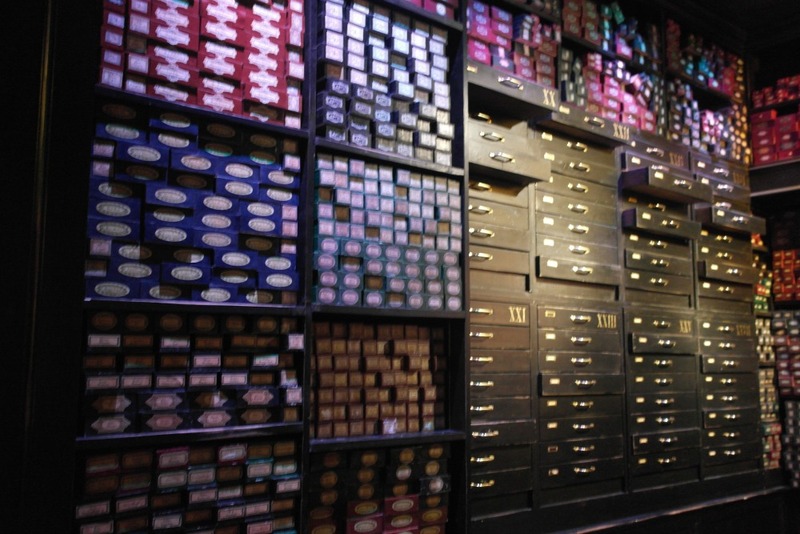 Studio Tour London – The Making of Harry Potter invites visitors to delve into the world of spell casting, potions and wizard duels as it hosts its first Summer Spells feature. 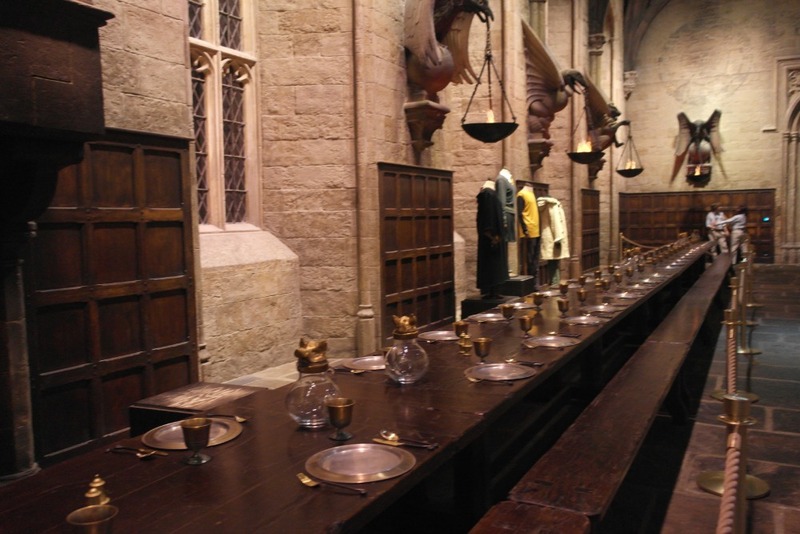 Visitors will discover first-hand how spells such as Wingardium Leviosa came to life on screen and how the wand movements that accompanied them were developed. Knowledgeable staff members will be on hand to teach wand battle choreography, aided by an interactive experience created by choreography expert Paul Harris. Paul composed the battle scene between Dumbledore (Michael Gambon) and Voldemort (Ralph Fiennes) in Harry Potter and the Order of the Phoenix™ and is the world’s only Wand Combat choreographer. 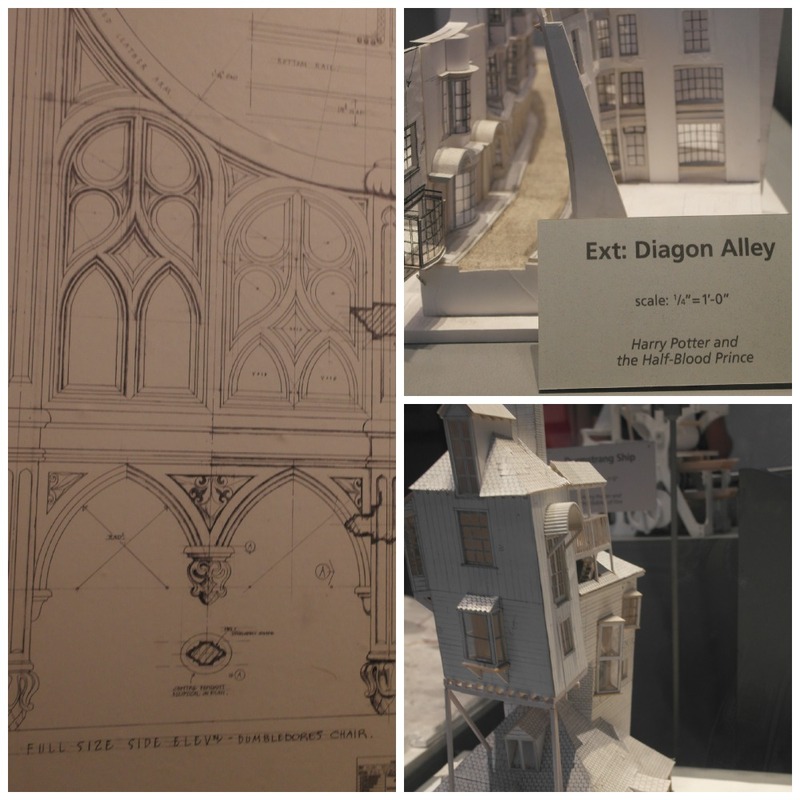 Those exploring Diagon Alley will be able to take part in a special effects demonstration created by BAFTA-winning Special Effects Supervisor John Richardson. 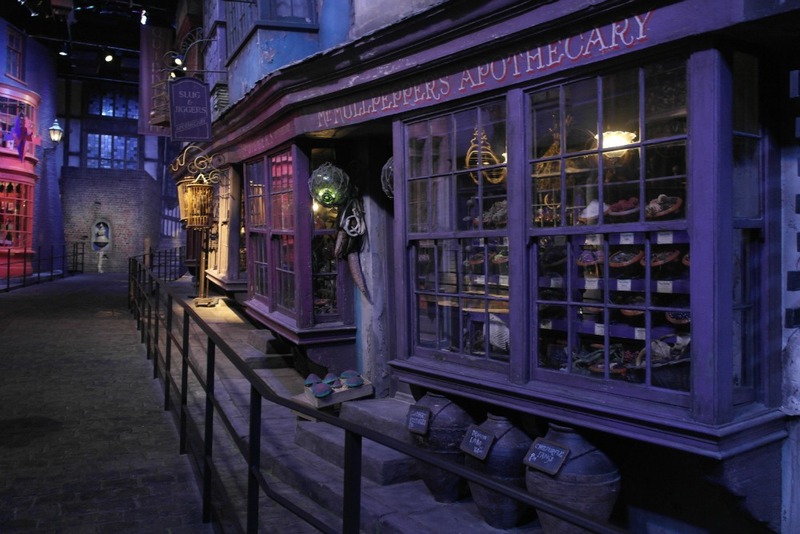 By pointing a wand, visitors will be able to cast a spell that will make the sign above Potage’s Cauldron Shop bang and flash as if by magic. First off we were met at the gates, tickets checked and directed to a parking space. All very easy and then our email confirmation was exchanged for our tickets and we were shepherded into the line to get in. When they say you need to get there 20 minutes before your tour time, they are not kidding. You must. (oh and you can’t buy tickets on the day, you HAVE to book for a specific time, in advance). But the queue is well managed and goes very quickly. 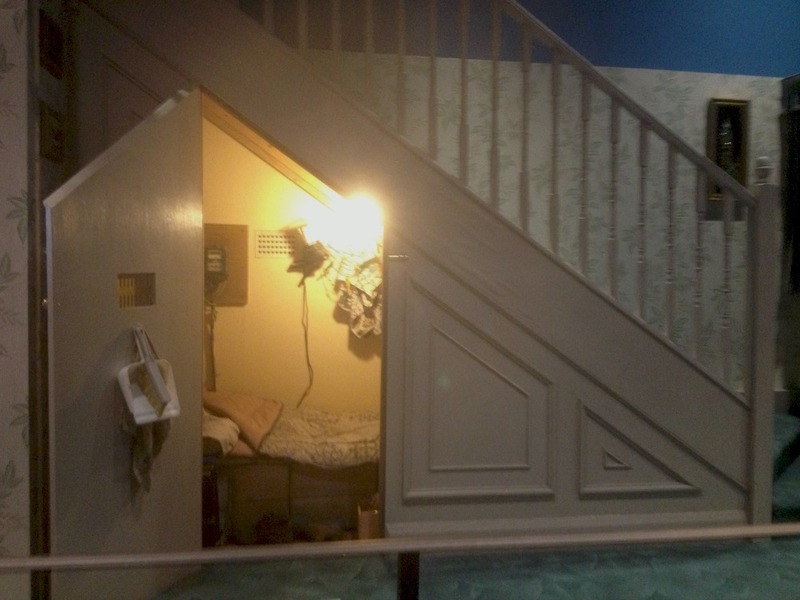 You also get to see the famous “bedroom under the stairs” whilst you wait. Once to the front of the queue you enter into an “inner sanctum” where you see a brief history of how the books came to be known and then you are whisked into a cinema for a short film featuring Emma Watson, Daniel Radcliffe and Rupert Grint. Who tell us that this is where they grew up for ten years and we see them as they were then, and as they are now. Along with, never seen before, behind the scenes shots of the cast and crew. 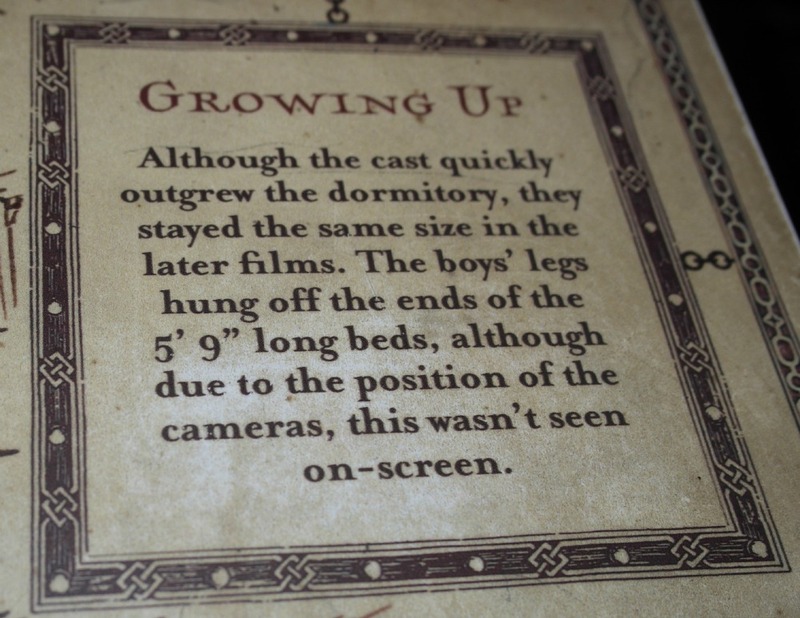 Then the screen lifts up and you are in front of the entrance to the Great Hall at Hogwarts. THE ACTUAL HALL. With the ACTUAL flagstone floor. And tables and benches and fireplace and costumes and EVERYTHING. A guide explains all about the hall but to be honest I was so busy taking photos and standing with my mouth wide open that I didn’t hear a thing she said. That is then for the guided tour (unless you have opted to have the audio guide with headphones that you can pick up in reception). As a side door opens from the Great Hall you are then into the sound stage and free to wander as you wish, as fast or as slowly as you wish, past various sets and props. All brilliantly laid out, labelled if needed, screens explaining a bit more, if needed. It was incredible. We were all blown away. You stand in front of a set and look at the detail of it all, the attention to making it all as authentic as it possibly can be, yet on the other side of it is just scaffolding and ply wood. It is breathtaking. There is a green screen area where you can be part of the action and either ride a broomstick or fly in the Ford Anglia and then take away a photo or a DVD of the action. You can also practice those wand skills! Again, the queue was minimal and there were eight or nine booths set up with individual green screens so you never have to wait long. Between the two sound stages is the “back lot” with Privet Drive recreated, along with the double decker bus and the Hogwarts Bridge. There is also an area to stop and have a drink, the normal things, or you can queue up for butter beer! Then it is off to the next stage and into the creature store where you can see all sorts of props that have been made by the visual effects artists. Heads, masks, animatronics, body doubles, werewolves, if it had to be created to feature in front of the camera, it happened here. It’s in here that you stare at the props and just think “wow”. And then you are in Diagon Alley. I loved this bit. The cobbles, the shops, the props in the windows. It is hard to believe that you are on a film set that is iconic and known the world over. You can get up really close and personal and see the attention to detail the set designers went to when recreating shop fronts. Alongside the props and sets are the bits you don’t see. 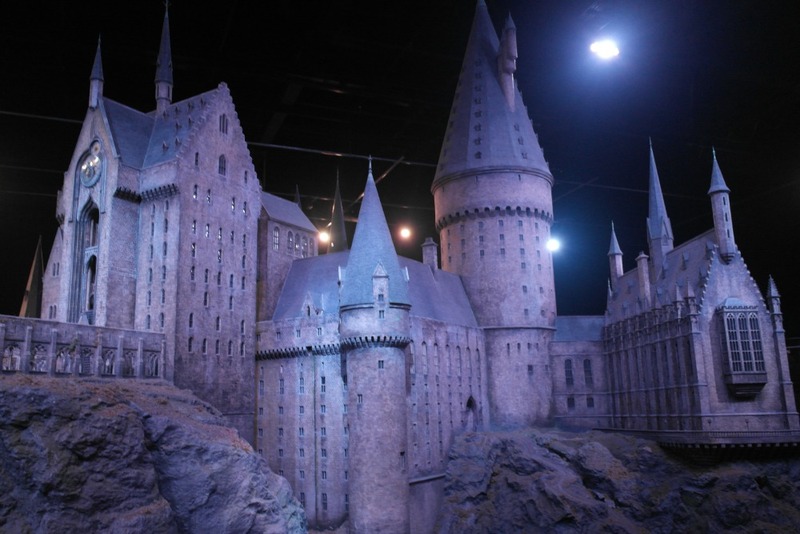 Architect drawings for props and stages, white models that were built so that camera angles could be perfected, and a 1:24 model of Hogwarts that is centre stage in its own room. And is, quite simply, jaw dropping. You get to walk around it and see it from every angle, and marvel at the attention to detail in a model! And with that we were out and into the shop selling everything from sweets and lanyards to wands and capes. As the ten of us regrouped there was much chatter about what a magical day (no pun) it had been. How words failed us to describe how well organised, laid out and labelled everything was. How amazing it was to see how some of the magic happened. To feel as though you were actually IN one of those films. How it had been THE perfect day for a group of ten which included a 6 year old and 60 year olds, proper fans and one of us who had never read a book or seen a film. It didn’t matter how big a fan of Harry you were before you arrived. What matters is that you will leave wanting to go home and re-read every book again from the beginning. Small print: we were given a complimentary family ticket for four. The other tickets, refreshments and souvenirs we paid for. We’ll be there on Saturday and seeing your review has just made me even more excited than I already was! Oh brilliant. You will have an amazing time!!! Make sure your camera battery is charged, I took over 300 pictures!! And get a passport so you can collect all the stamps! So jealous! I want to go too! sounds like you had an amazing time! Well jel! We are HUGE Potter fans – looks fab and good to hear that you had fun! Thank you for such an informative review – we better get our skates on if we are to arrive 30 mins before our time slot! Can’t wait! I was there! It was really magic, (geddit,) I certainly did…………..
We certainly made some great memories that day! oh I am so jealous! It looks so amazing! I was never a fan of the books but I love the films, especially the later ones. Would love to go to this but it’s so far away for a day trip. Sounds ace! Come to us for the weekend, it is only an hour away 🙂 Then we can go again. Allow plenty of time to visit- we went in at 2.30 and we were some of the last out at 9.30!!!! It’s amazing! so excited looking at these pictures that I nearly wet myself. No, I am not ashamed to admit that! So, so excited – the older children are such huge HP fans, I’ve read them all the books, they’ve seen the films but don’t know they’ll see the set on Sat.